In today's world of art and architecture, there is one name that unquestionably tops the list of greats, and that would be, who else? –– of course –– the one and only Frank Gehry. A few weeks ago, upon returning from my trip to Paris, I raved about his latest project there, the Fondation Louis Vuitton. 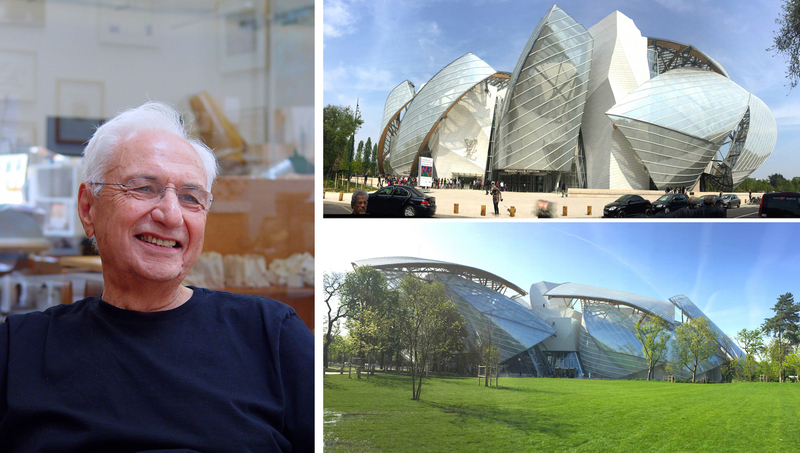 Great architect, as we've known him for years, the 86-year-young Frank Gehry –– with this spectacular, architectural glass fantasy in Boulogne Forest –– has certainly earned the rare honor of being called… a Genius. So, when a few days ago the J. Paul Getty Trust announced that Frank Gehry will be awarded the third annual Getty Medal, I was delighted to hear this news. To quote Getty Trust President James Cuno: "[Gehry] effectively reinvented architecture with his use of new technologies in the design of beautiful and iconic buildings. And architecture will never be the same as a result." The front page of Monday's LA Times announced another exciting architectural development in the very heart of our City of Angels. 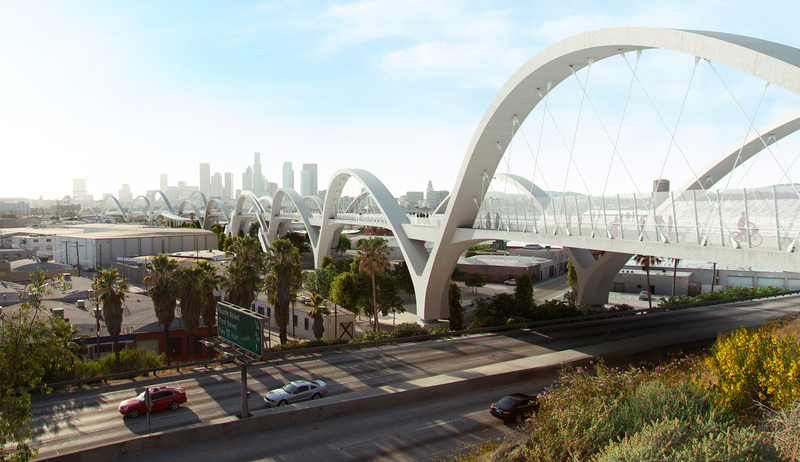 The old historic bridge –– a "nostalgic wreck" that connects downtown to Boyle Heights –– will be demolished and replaced with the Sixth Street Viaduct, a futuristic structure consisting of ten concrete arches that rise and fall on both sides of the bridge. Looking at the model by the design team of Michael Maltzan Architecture, Inc., it's impossible not to be impressed by this airborne structure, which will undoubtedly bring a new energy to the city when it is completed in 2019. 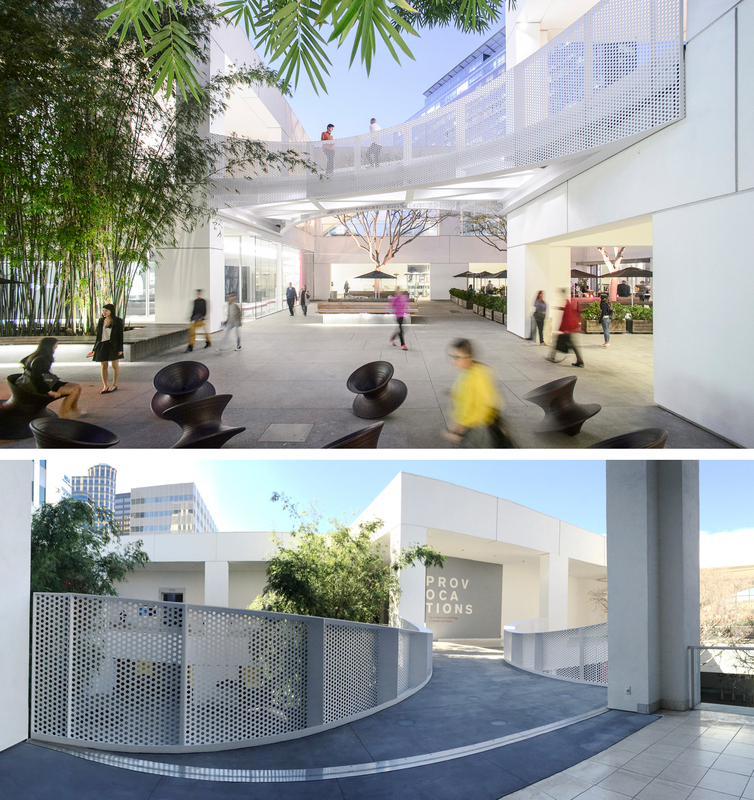 A few months ago, Michael Maltzan finished a small but game-changing project for the UCLA Hammer Museum, where he built a bridge crossing the courtyard and connecting public spaces on the museum's second floor. As a result, his bridge transformed a once purely functional public space into something much more welcoming, convenient, and even playful. So based on all of the above, one expects nothing less from Michael Maltzan's Viaduct. 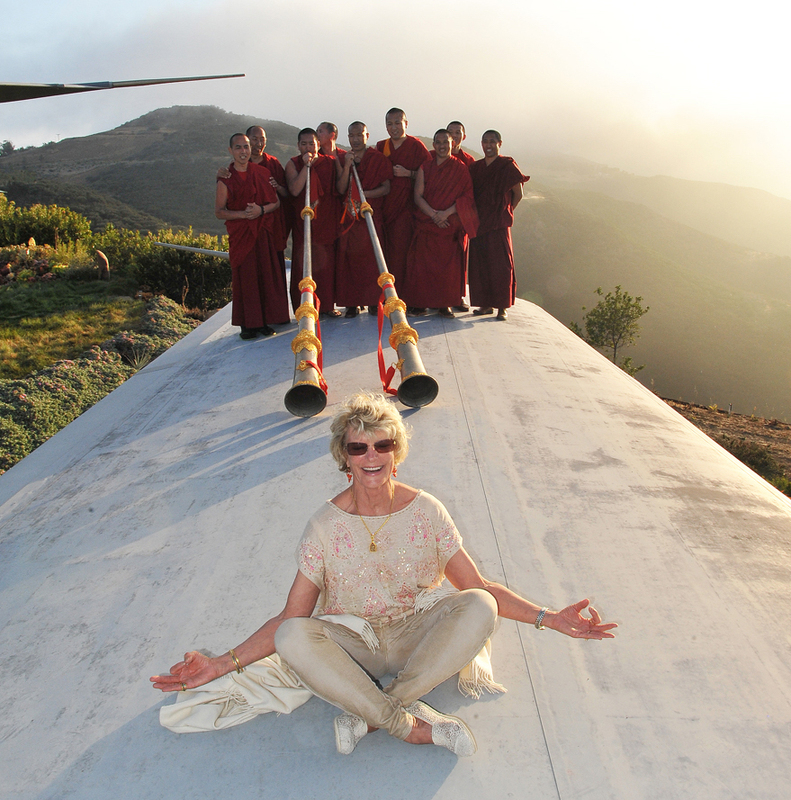 Staying on the subject of architecture at the top of the world, let me share with you my adventure this past Sunday at a fundraiser for Tibetan monks, which took place at the famous Wing House in the far reaches of Malibu. There, at the top of the mountains, rests the most unusual building you can imagine. 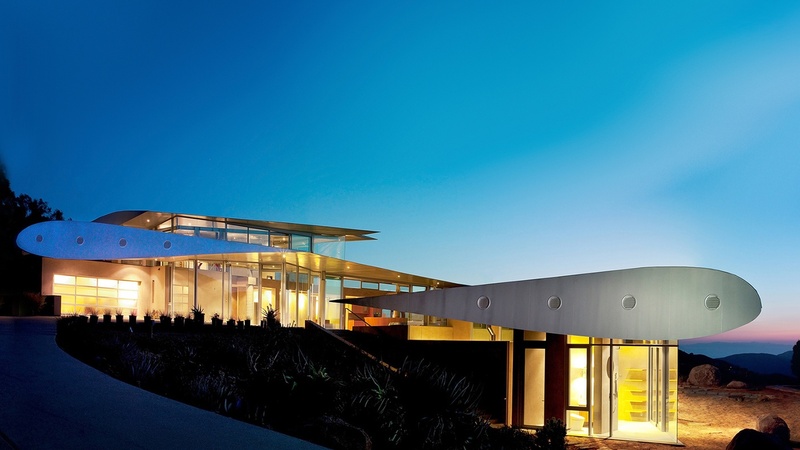 Structured around the gigantic wings and fuselage of a Boeing 747, the house looks ready to lift off into the sky, and you are getting high along with it. I've known about this architectural fantasy for a number of years, but now having seen it in person, I am happy to share this wonder with you. 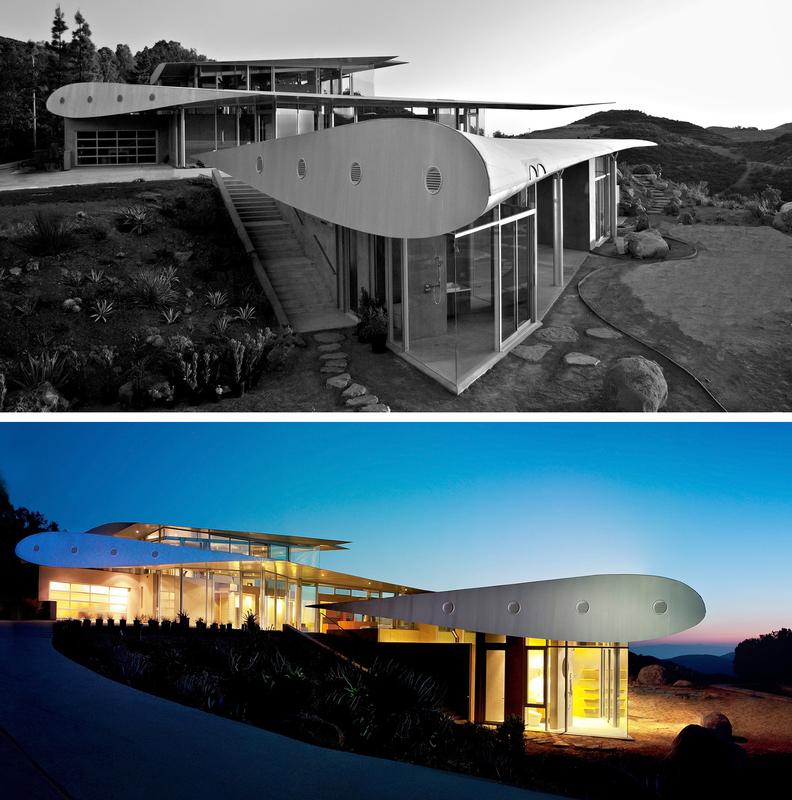 My hat's off to David Hertz, another LA architect who made this seemingly impossible project fly so effortlessly. More than a decade ago, famous Pritzker Prize-winning Dutch architect Rem Koolhaas won a competition to rebuild the campus of LACMA, but this project never became a reality. Now, LA's Wilshire Boulevard Temple announced that they've chosen Koolhaas to design a building next door to its famous ornate 1929 synagogue. It's a welcome development that emphasizes the role of our city as a unique arena displaying an extensive collection of projects by the most prominent architects of our time. And while we are talking about Koolhaas, it is appropriate to mention his ambitious project in Moscow, the Garage Museum of Contemporary Art, which is planned to open on June 12. With bad publicity surrounding Moscow these days, this is a rare bit of good news coming from Russia.